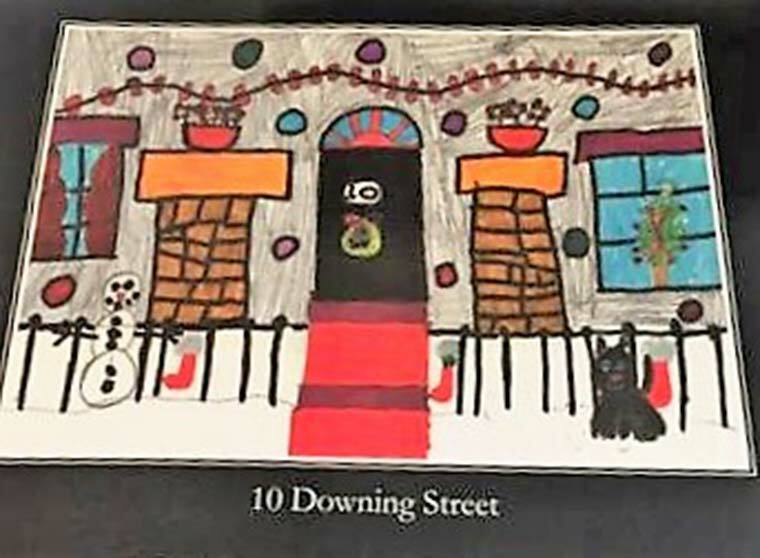 When Prime Minister, Theresa May, heard how hard a young Dorset fundraiser has been working for the RNLI Poole Lifeboat Station, she sent him a Christmas card. 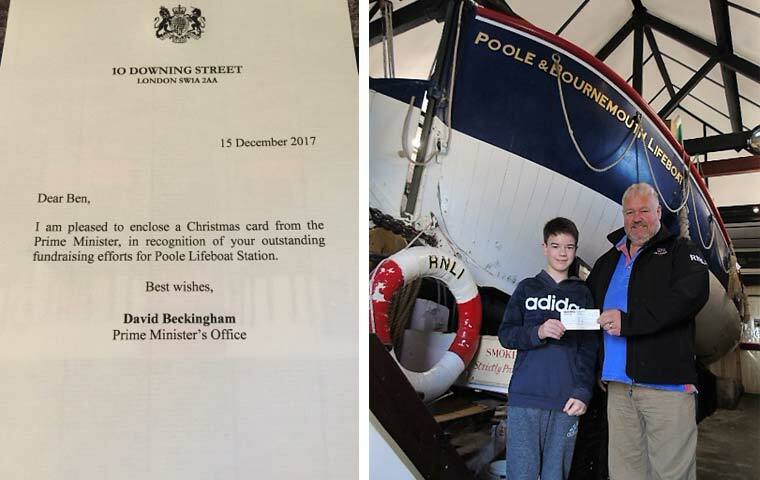 Ben Gregory has been working hard to fundraise for Poole Lifeboat Station since he was seven years old and when the Prime Minister heard what an amazing young man he is, she took time out of the busy Brexit negotiations to send him a Christmas card. Although only 13 years old, Ben Gregory has raised a mammoth £940 for the lifeboat station over the last six years. His fundraising started when he was only seven and he completed a sponsored bike ride from Bournemouth Pier to Boscombe Pier, which raised £230. This was followed by another bike ride and then a sponsored swim. His most recent challenge was another sponsored swim when Ben completed 100 lengths raising £260. The seasoned fundraiser had trained hard for this challenge as he was determined to raise money that will enable the volunteers at Poole Lifeboat Station to help save lives at sea. A pupil at Carter Community School in Poole, Ben is going to continue with his swimming and is thinking of becoming a lifeguard. He is currently volunteering for the RNLI for one of his commitments towards his Duke of Edinburgh bronze award.